The nineteen-month-long Massachusetts legislative session ended on July 31st. It was a controversial session that has been characterized as much by what didn’t happen as by what did. There were two significant advances that Clean Water Action played a major role in passing: environmental justice funding in the state budget and a compromise clean energy bill. The Good News: The new budget now requires Governor Baker’s environmental office to hire a full time Environmental Justice Director, and have that person coordinate a study on how environmental hazards disproportionately affect communities of color. This is a significant environmental justice win for Massachusetts, which is long overdue. There is much more that needs to be done to address environmental injustice in Massachusetts, but this is an important step forward. For years the Baker Administration, and even the Patrick Administration before it, has given short shrift to the needs of low income communities of color facing heavy burdens from pollution sources. With this new window of opportunity, Clean Water Action looks forward to working alongside key partners in the Green Justice Coalition to achieve real improvements for communities of color and low income communities. The other new policy of this session was a modest compromise energy bill that leaves a number of key clean energy advances still needing to move forward next session. The best thing in the energy bill, H4857, is a near doubling of the state’s allowed offshore wind energy. This will enable Massachusetts to increase its renewable energy intake from this now-developing source. The Poison Pill: One harmful provision in the bill defined trash incineration as a form of renewable energy eligible for “clean energy” incentives — even though incinerators are a major source of toxic pollution with higher emission rates for carbon pollution than coal-fired power plants (for the same amount of energy generated). This could provide additional subsidies for incinerator companies and the state to extend the life of polluting incinerators rather than investing in Zero Waste solutions that are taking off in other parts of the country. Baby Steps: There were many other provisions in the bill that were baby steps in the direction of fully supporting renewable energy. One of the biggest goals this session was to raise the Renewable Energy Portfolio Standard (the amount of renewable energy that the state is required to include in its power mix) to reach 50% renewables by 2030. Instead the legislature only went halfway, requiring roughly 34% renewable energy by 2030. Unfinished Business: Notably absent from the energy bill were any provisions ensuring climate justice, such as access to solar energy for low income residents of Massachusetts, or carbon pricing advances. Unfortunately, the House also failed to vote on the Children and Firefighters Protection Act (S.2555-Sen. Cynthia Stone Creem and H.4656 Rep. Marjorie Decker) before the end of the session — even though the Senate passed the bill in June — leaving that issue for another year. This bill would have banned 10 toxic flame retardants in children’s products and household furniture as similar bills in Rhode Island and Maine did last year. The Bottom Line: There was some progress in the State House this session, but we need and expect more from our elected officials. Thank you for writing letters, taking online action, coming out to rallies, and communicating with your elected officials about what matters to you during the session. Your efforts made the progress that did happen possible. Now it’s election season, and we’re counting on you to go to the polls on November 6th to vote for candidates who will fight for clean energy, healthy communities and justice for all! November 6th is election day! When you go to the polls this year, be sure to be a clean water voter and support candidates who will fight for clean water, clean air and healthy communities. 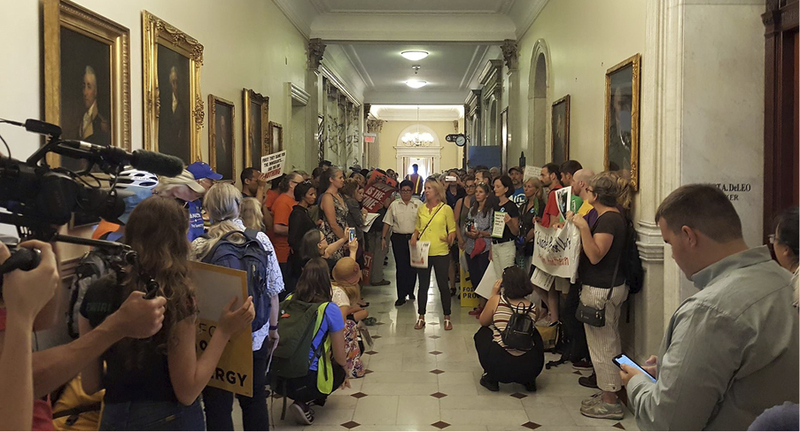 Session after session, the Massachusetts legislature punts when it could kick a field goal for clean energy and environmental justice (see article page 1). Meanwhile, we’re fighting to prevent backsliding in the US Congress every day. Your vote can make the difference between electing legislators who fight for a healthy future and stable climate or maintain the status quo. Climate change is not going to wait for Beacon Hill or Congress to take baby steps. Clean Water Action has endorsed candidates who value our health and the environment and will protect Massachusetts. When you vote on November 6th — Vote Environment! US Senate: Senator Elizabeth Warren. Elizabeth Warren is the clear choice for the environment in this race. As Senator, Warren has fought to limit the influence of the fossil fuel industry in Congress, prevent offshore drilling, and defend the Clean Water Act from rollbacks. She has opposed the development of new fracked gas pipelines and worked to protect children and workers from toxic chemical exposure. She is a champion for working people, healthy communities and environmental protection. Clean Water Action members and staff, celebrate champions of environmental protection and justice, and enjoy a buffet of hors d’oeuvres. With all of the recent attention that plastic straws have been getting lately — whether because of municipal ordinances or voluntary elimination by business like Starbucks — the issue of plastic pollution has been elevated in public discourse. Efforts to stop plastic pollution have included things like municipal bag bans, neighborhood cleanups, and trying to get individuals to take it upon themselves to use a reusable water bottle or coffee cup, bring their own bags, and say no to straws when dining out. 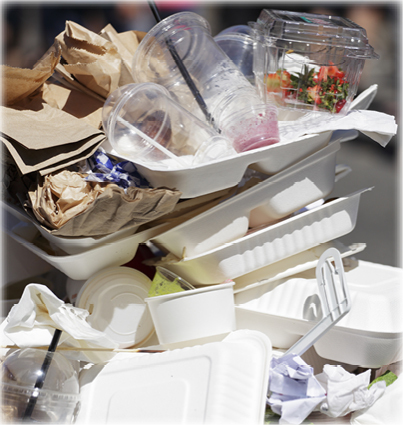 But one of the largest contributors to plastic pollution and marine debris is the food service industry. In Rhode Island, over 30% of the trash collected during beach cleanups were single-use food service items: things like polystyrene cups, plastic water bottles, thin-film plastic bags, and drinking straws. Last summer, we trawled Narragansett Bay for microplastics and found evidence of microplastic pollution in all twelve of the samples that we collected. We know that the only way we will be able to tackle our plastic problem is by stopping pollution at its source rather than at the end of the pipe, so this summer, we launched the ReThink Disposable program here in Rhode Island. Through ReThink Disposable, we will work directly with restaurants, food trucks, and other food service businesses to identify ways to reduce the amount of single-use service products they provide to customers. We help them identify alternative products and practices, and then calculate the amount of waste diverted, carbon emissions avoided, and cost savings. These changes will be customized for each establishment based on the needs of the owners, staff and customers. We also help participating businesses communicate the changes with their customers, hopefully inspiring them to cut down plastic use in their own lives as well. ReThink Disposable was developed by Clean Water Action’s California office in 2011, and in the time since its inception, over 100 businesses have gone through the program, saving an average of over $3,000 annually. We launched the program here in Rhode Island over the summer and to date, we have five businesses signed up to participate in the program. Over the next near, we hope to al least double this number. Our goal is to stop plastic pollution in Rhode Island’s waters and Narragansett Bay at its source by working directly with the food service industry to reduce, and eventually eliminate, the distribution of disposable, single-use plastic items. On Wednesday, September 12th, Rhode Islanders headed to the polls to vote in this year’s primary election. Clean Water Action endorsed a slate of federal, state, and general assembly candidates with primary opponents, all of whom committed to making protection of the environment and public health a priority in the next two legislative sessions. US Senator Sheldon Whitehouse and US Representative David Cicilline easily defeated their primary opponents. Both have been leaders in the Senate and House respectively in the fight against the Trump administration’s dismantling of environmental protections. Most notably, they were the lead sponsors of a bill to prohibit fossil fuel drilling of the New England coast, a response to the Interior Department’s announcement to undo the long-standing offshore drilling moratorium. Governor Gina Raimondo also won her primary election, setting up a 2014 rematch against Cranston Mayor Allan Fung in the general election. In her first term, the governor led efforts to invest millions of dollars in open space and park protection, stormwater management, and bike path development. She also oversaw the commission of the United States’ first offshore wind farm and has pledged to make Rhode Island the national leader in the offshore wind industry. This summer, she signed an executive order to comprehensively eliminate plastic pollution by addressing single-use plastic items. If re-elected, the governor has pledged to establish mandatory and enforceable carbon emissions reductions as a means for achieving a 100% carbon-free future in the state. Connecticut’s energy program team is building momentum, helping more than 60 Clean Energy Task Forces to generate local outreach and projects and working with a state coalition that has achieved some breakthrough results. This spring, clean energy advocates in Connecticut won a substantial victory — legislation committing the state’s utilities to getting 40% of their electricity from renewables by 2030. The state also committed to a new marketplace option, Community Shared Solar. Those wins were combined with disappointing developments, such as an end to net metering for rooftop solar, making it harder for small-scale solar developers to prosper in Connecticut. Now Connecticut’s policymaking agencies are at work designing programs and rules to implement these new frameworks — as well as an entire proceeding to prepare for grid modernization so that all that solar can realistically be built. These proceedings will need vigilance, and we’ll be there alongside many representatives of the local Clean Energy Task Forces we continue to support. As the state focuses on utility-scale solar to achieve its clean energy goals, land use will increasingly become a challenge. So far, voluntary guidance has been developed to keep solar farms out of core forest areas. But there is major work to be done to protect farms by encouraging best practices for land management (like New York’s “pollinator friendly solar” law). The state would also benefit greatly from incentives to put big renewable energy projects on low-value lands like brownfields, highway rights-of-way, oversized parking lots and commercial rooftops, and so on. Clean Water Action and the CT Nature Conservancy are working now on proposals in this area. Hope springs, also, in the fight to restore the $145M in energy efficiency and clean energy funds that were raided by the CT General Assembly to fill structural gaps in the state budget. A lawsuit filed by Clean Water Board Member Leticia Colon de Meijias along with the CT Fund for the Environment was heard in New Haven District Court in September 2018. The state’s defense — “We’ve raided this money before, so it must be OK” — is not a convincing argument. Clean Water Action is also moving forward with a new training program to help communities prepare plans for the transition to 100% renewable energy. We’ve piloted the approach with West Hartford, Westport, Simsbury and Mansfield, and are excited to be holding a training session on October 29. Visit our website for details! 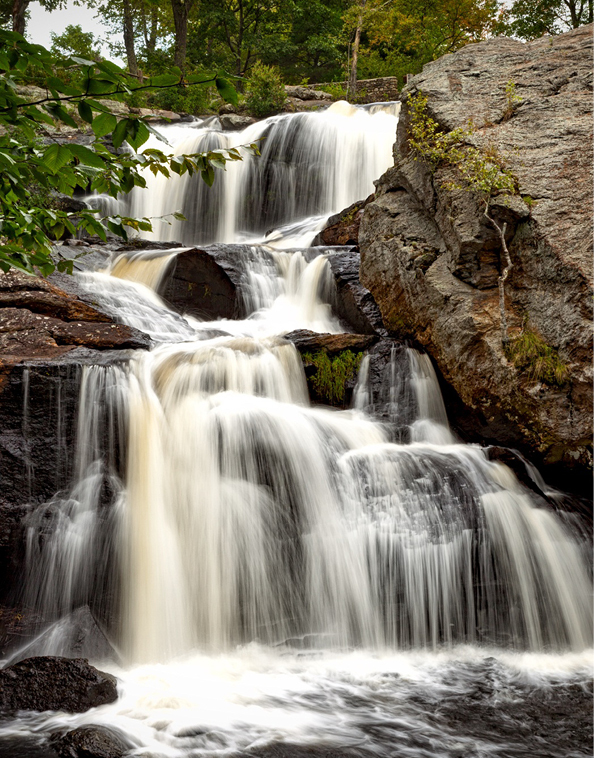 Connecticut is fortunate to have abundant sources of clean water for drinking, recreation and to support wildlife. So much so that it is easy to take water for granted, not thinking too much about where it comes from, the laws that protect it and the utilities that manage it. But Connecticut’s waters are under threat and complacency in the face of these threats is not an option. In recent years, climate change has super-charged hurricanes that damaged significant portions of shoreline, intense storm events have caused an increase in polluted stormwater runoff pouring into rivers and streams, and nutrient and fertilizer pollution and warmer temperatures contribute to more and larger harmful algal outbreaks. The state has also faced a months-long statewide drought and a California water bottling company was given the rights to withdraw almost two million gallons of water per day out of a local reservoir — with no state oversight or environmental review. Despite this, there were a couple of bright spots. A proposal to expand mining operations of a New Britain quarry into more than 130 acres of protected watershed land did not pass. Connecticut is also moving forward on the first State Water Plan which references the state law that declares water is part of the public trust! To address these issues, Clean Water Action’s canvass teams are making calls and knocking on doors to inform residents of the importance of the public trust law and making sure that current and newly elected officials in November, understand their role in upholding it. Staff are participating at the Water Planning Council meetings to monitor implementation and progress to threats like expanded mining in protected lands and we’re working on proactive measures to address emerging contaminants, including perfluorinated chemicals or PFAS which have been found in New York, Vermont and New Jersey and now some wells in Greenwich CT. The organization is also hosting community forums around the state to raise awareness and continue to build the campaign to protect Connecticut’s water. Want to get involved? email Anne Hulick at ahulick (at) cleanwater 9dot) org if you want to host something in your community!